Two information sessions were held this week at The Pas Municipal Building Regarding a proposed special service levy where each parcel of land owned by property owners would be assessed by six hundred dollars. 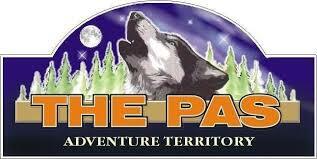 Mayor Jim Scott believes that this will attract more people to live in the Town of the Pas. This is not an additional levy but a reworking of how the municipal taxes are collected. The proposed levy was met with some opposition with one person saying that it will hurt too many people that already live in the community including people on lower income and people on fixed pension as well as those that have starter homes. Another person stated that a special service levy will not bring people into the community because some people may see it as a financial burden. Other communities have implemented similar levies and Mayor Scott says that they will look at investigating how they work in other communities. He added that the community needs to continue to grow and move forward and he is open to ideas from residents of The Pas on how that can done. This matter will be discussed by mayor and council in the near future.